Learn how to make a useful rectangular origami box from an A4 or letter sized sheet of paper. This makes a great last-minute gift box solution! In the photo, you can see it is great for storing pens and pencils on a desk, or stationery items like rubber, sharpeners and even small calculators. There are also a few to organize makeup inside drawers, and you can make larger ones from A3 or A2 sized sheets of paper, which make great drawer organizers for kids clothes. This simple origami box takes only a few minutes to fold and requires very few origami tools. Usually, origami starts with a square sheet, this time it will be rectangular. You can start with any size of rectangle. If you use a longer rectangle, the box will end up less rectangular. If you are looking for a fancier style of origami box, check out the Star Dish, or for more of a challenge, the Cake Box—for intermediate to advanced folders! 1. Start white side up and the paper landscape position. 2. Fold the paper in half to the left. 4. Fold the left and right edges to the central fold. 5. Flip the paper over, left to right. 6. Fold the right edge to the central fold, letting the flap underneath flip out to the right. 7. Neatly fold it to the center. 8. Here you can see the folds you should have. 9. Fold the right flap over to the left. 10. Fold the flap to the vertical fold that is indicated. 12. Unfold the last step. 13. Fold the top right and bottom right corners inwards. 14. Fold the top left and bottom left corners of the front flap, inwards. Fold the left side of the flap over to the right. 15. Again, fold the flap over to the right, sandwiching the previous flap. 17. This is what you should have. 18. Repeat on the left. 19. Open out the left and right sides. 20. Push the pointed corners inwards. 21. To straighten out the edges, fold along the bottom edges. 22. Pinch the corners to make the box more squared. 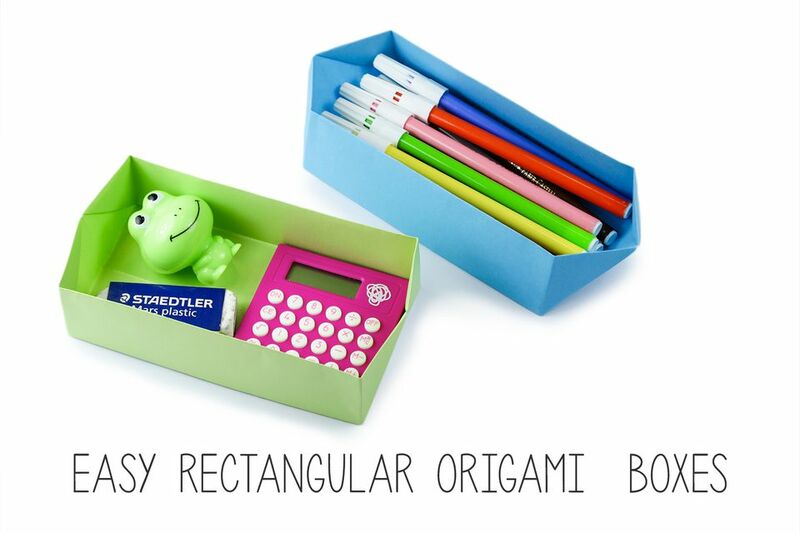 That's it, you should now have a simple origami box that is useful for lots of different things.